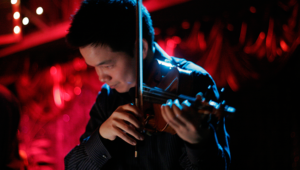 Claude Sim returns to Second Tuesdays with the Aaron Walker Gypsy Jazz Trio. This evening will feature the hot swing jazz of Django Reinhardt and Stephane Grappelli as well as innovative music from today’s gypsy jazz composers Gonzalo Bergara and Aaron Walker. Tickets are $15 for adults and $10 for students through high school and are available for purchase here and at the door the evening of the concert. Parking is always free and we’ll enjoy a meet and greet reception following the performance.